Posted: September 21, 2014 | Author: luray | Filed under: Fun Finds, Vintage Bazaar | Tags: perpetual calendar, the '70s | Comments Off on This is the weekend! September 20 & 21—the Vintage Bazaar is happening now! We spent all day meeting customers, wrapping purchases, and all ’round having a good time! 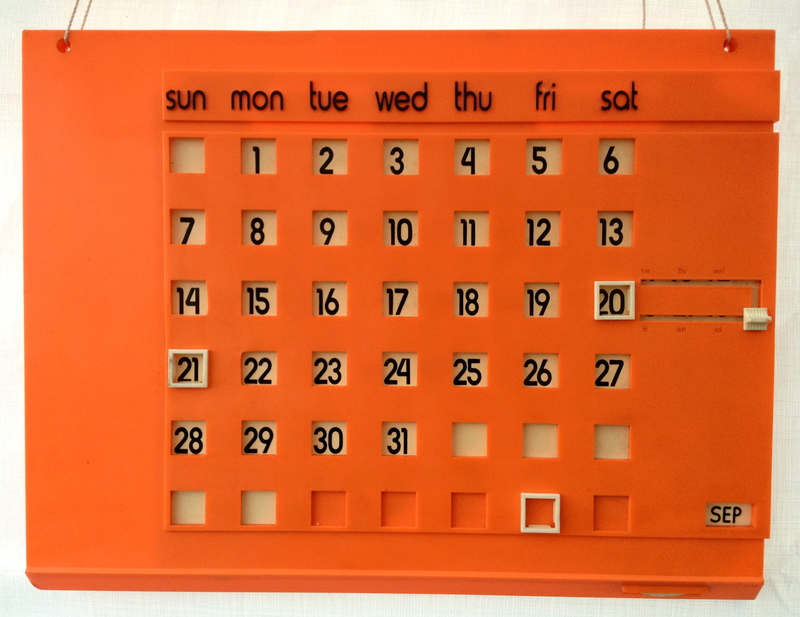 This is one of my favorite items that sold—a big plastic perpetual calendar from the ’70s. It’s about 12″ by 18″.